US crude oil inventories increased substantially, by 10.3 MMBbl, according to the weekly EIA report. Gasoline and distillate inventories decreased 1.4 MMBbl and 3.6 MMBbl, respectively. Total petroleum inventories showed a decrease of 1.4 MMBbl. US crude oil production increased 100 MBbl/d from the previous week. Crude oil imports were down 87 MBbl/d to an average of 7.5 MMBbl/d versus the week prior. Prices continued declines, with a lower close for the sixth consecutive week. Bullish expectations of Iranian sanctions have turned bearish, with the US announcing waivers for eight countries (China, India, Japan, Italy, Greece, Turkey, South Korea, and Taiwan) allowing purchases of Iranian crude for the next six months. OPEC announced it was expecting significantly less demand growth in 2019, similar to the IEA assessment for demand. With no imminent resolution to US and China trade disputes, near-term demand looks bearish. The latest CFTC report shows Managed Money shorts increasing by 15,569 contracts, now sitting at a level that has not been established since October 2017. Managed Money long positions, surprisingly, increased by 3,081 contracts. Prices fell below the February ’18 lows ($58.07), accelerating declines to the November ’17 lows. The past six weeks have done significant damage to the bullish WTI run of 2018. News that OPEC and Russia will reevaluate their production increases in the future may bring limited support. Russia announced that it does not plan to change production plans at this time, and OPEC will reexamine future production plans at the meeting in Vienna on Dec. 6. Drillinginfo continues to believe the long-term range will occur between $60 and $65 for an extended period of time, with potential brief extensions under $60. Dry production decreased 0.48 Bcf/d last week, with most of the losses in the Gulf and Southern regions. Canadian imports increased 0.67 Bcf/d, with demand in the Northeast increasing due to declining temperatures. Cold weather brought increases to Res/Com, showing a gain of 14.27 Bcf/d. Power and Industrial demand increased 3.76 Bcf/d and 1.25 Bcf/d, respectively. LNG exports increased 0.47 Bcf/d, and Mexican exports decreased by 0.18 Bcf/d. Overall, the market gained 0.19 Bcf/d in supply while demand increased 20.1 Bcf/d. The storage report was an injection of 39 Bcf. This should be the final injection of the season. According to the CFTC report, Managed Money longs increased by 17,803 contracts, while the shorts decreased by 16,204 contracts. This points to short covering and new length entering the market as prices rallied from $3.55 to $4.11. However, it does little to explain the rare blowout in prices on Wednesday and the subsequent collapse the following day. This volatility has not been seen in over a decade, representing the highest daily range since the Amaranth (hedge fund collapse) in 2006. Rumors surfaced that the volatility was due to a hedge fund unwinding a position of long crude/short natural gas. Open interest in natural gas declined by 101,994 contracts, while open interest in crude declined by 77,960 contracts, as prices plummeted from $59.30 to a low of $54.75. Markets rising on declines in open interest signal short covering, while markets rising on open interest declines signal length liquidation. The daily decline in open interest in natural gas has never been experienced before, nor has the daily volume explosion on Wednesday of 1,602,674 contracts exchanging hands. Those two market internals strongly suggest aberration and adjustments in positions from trade organizations. Price gains established early in the week reflect an “orderly” adjustment to changing fundamentals—modest short covering and gains in speculative length. 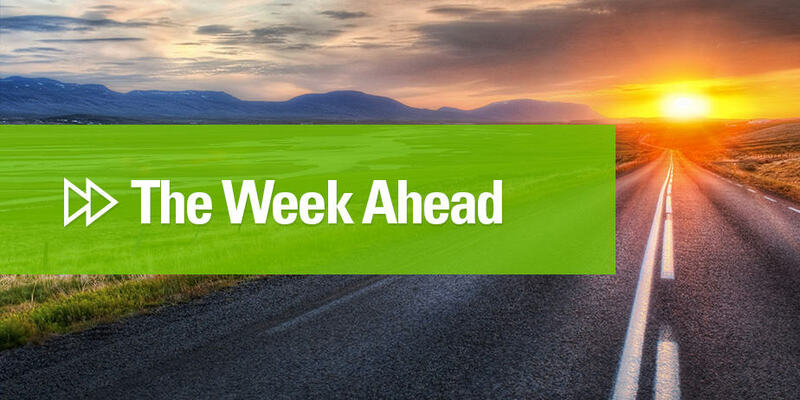 Volatility should be expected in the coming week, but last week’s price action will be hard to duplicate. The strong close on Friday, after retesting support around $4.00, suggests the market has not concluded rallying with the forecast changes. Mont Belvieu ethane has averaged 32 cpg through November, down from an average of 41 cpg in October, as MLPs such as Targa and Enterprise continue to pull levers to increase fractionation space. Mont Belvieu propane has averaged 77 cpg through November, down from October’s 96 cpg, likely lower due to recent inventory gains. The EIA reported a draw of 0.8 MMBbl in this past week’s propane inventories. Propane stocks now sit at 83.8 MMBbl, approximately 6.6 higher than this time last year and 0.8 MMBbl lower than the five-year average.